The Olympus E62 (146031) headset is light weight, comfortable and is one of the finest style of transcribing headsets available. Dual speakers provide balance and crystal clear delivery. 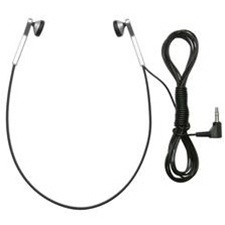 This underchin bow style headset is comfortable and practical. The E-62 headset has a 3.5 mm plug which can connect to your PC sound card or external speakers with a 3.5 mm jack. The E62 is supplied in the AS-5000 transcription kit and is also available separately as spare part. Copyright © AAAPrice.com Inc. All Rights Reserved.